Oomph! enter German album charts at #1 ahead of European tour in March! 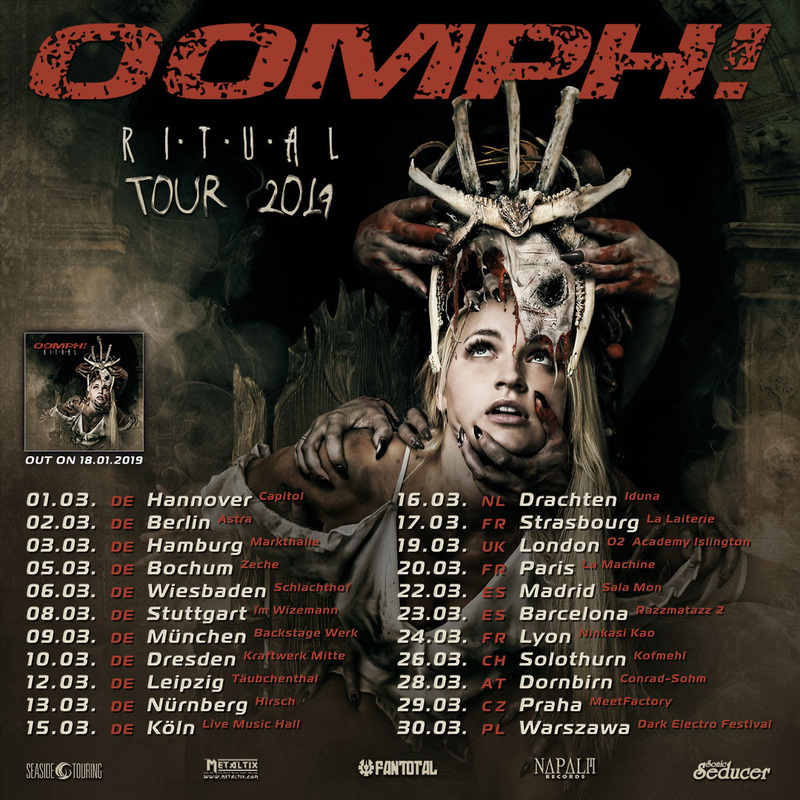 German industrial metal pioneers Oomph! have entered the German album charts at #1 for the first time with their sixth full-length “Ritual”, which has just been released via Napalm Records. Oomph! will hit the European roads with “Ritual” in March and while the show in Bochum is already out, ticket reserves are also running low in other German cities as well as in Prague in the Czech Republic. Oomph! have recorded a tour-trailer for Europe, which can be downloaded and is available HERE! Wolfheart release live video For “Everlasting Fall”, World Tour 2019 Kicks Off In February! Yeruselem premieres and streams the full upcoming release called “The Sublime”, dark industrial madness taking over!